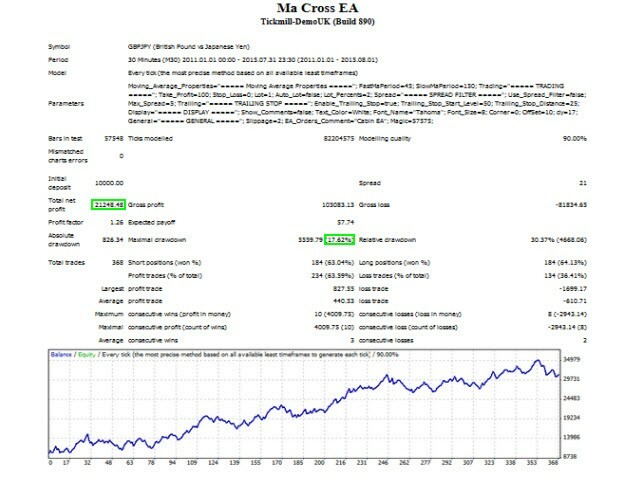 Simple Moving Average Crossover is a very simple lightweight EA that compares two Moving Averages of different periods and opens trades whenever they cross. Trades are opened after a candle has closed and the crossover has been confirmed. Buy when the Faster Period Moving Average crosses the Slower Period Moving Average from below. Sell when the Faster Period Moving Average crosses the Slower Period Moving Average from above. The EA can operate in any timeframe and pair. You would just have to experiment and optimize to find settings that suit you. The default settings are for GBPJPY M30. I agree with Mathews it works well, I also had a few adjustments to personalise for me. Works perfectly. Also, the author made personal modifications(more than what I've asked for) to the EA within hours after I requested them. Thanks Michalis.